This year the ski slopes in Borovets are reconstructed and the system for artificial snow at Markudjik ski zone is doubled. The water pump station is also with increased capacity, which will allow the fast pronouncement of artificial snow. In case of good meteorological conditions, the resort will open earlier this year. Excellently maintained ski slopes, night skiing, children snow park Borokids, as well as the best freestyle snowboard will surprise all guests of Borovets after just a couple of weeks. For a second year in a row Borosport will continue developing the newest attraction in the resort – Borosport Snow Park. The project will allow everyone searching for extreme adventures, as well as fans of jumps to practice their favourite sport. This year Borosport Snow Park will be constructed on the same site, but will offers longer trails – around 610 metres more than last year. Numerous new elements and configurations for beginners (including kids) and experts will be provided to all snowboarders and freestylers. A brand new drag lift will service the park. Three traditional and one new competitions will be held on the site this winter. The reconstruction of the road from Sofia to Borovets, through Zheleznitsa and Yarema villages is a great advantage for the resort this winter. 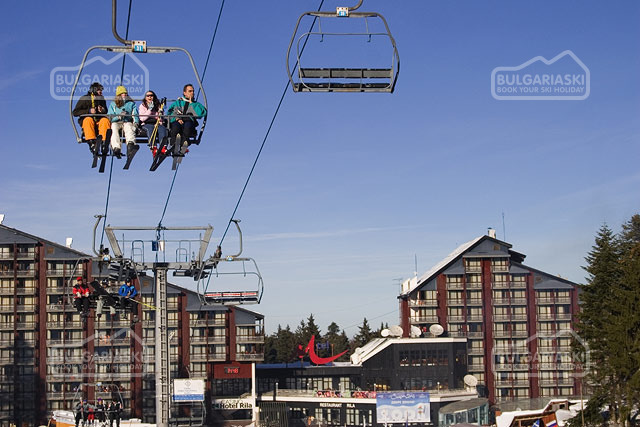 BulgariaSki.com will continue to inform you of the latest snow and weather conditions in Borovets this year. Five web cams will broadcast from key sites on the slopes in the resorts, so make sure, that you check the site regularly. Comentarii despre Borovets expects a long skiing season.